With 313 million monthly active users, Twitter is a huge social media network offering plenty of potential for meaningful connection. But with more than 500 million Tweets sent every single day, it can be tricky to stay on top of the most relevant content, get your Tweets seen, and maximize the time you spend on your Twitter activities. Fortunately, Twitter offers in-depth capabilities that allow you to laser-target your efforts. 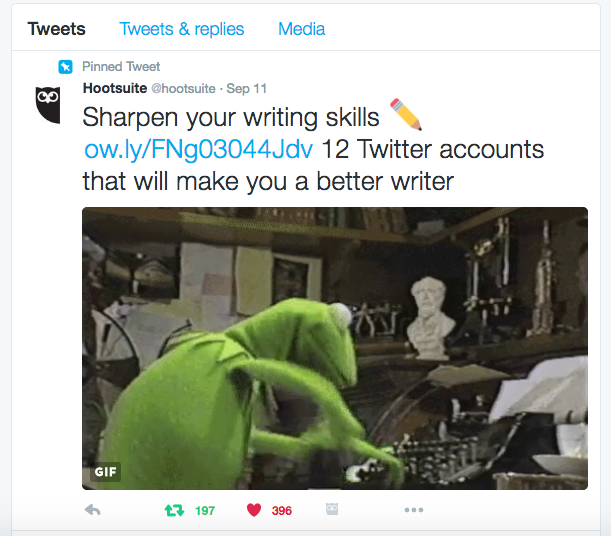 We’ve dubbed these strategies Twitter hacks because the lesser-known features can seriously up your Twitter game… if you know how to find them. When you’re working with 280 characters, emoji can save valuable space. They’re easy to use on a mobile device, but can be a pain to access on a desktop. Fortunately, if you use a Mac, there’s a keyboard shortcut to bring up the emoji character set. Sometimes there’s just more to say than you can manage in 280 characters. Luckily, you can use the text application on your mobile device or any word processing program on your desktop to write a longer message, then share an image of that message in your Tweet. This isn’t a strategy you should overuse, but it can come in handy when there’s something you just have to get off your chest. The half-life of a Tweet is just 24 minutes, and a Tweet reaches 75 percent of its potential engagement in less than three hours. That means you need to Tweet at the right time to reach the most potential followers and maximize engagement. Research generally shows the best posting times are 12 p.m., 5 p.m., and 6 p.m. Start at these times with your own strategic efforts, then use engagement data from Twitter Analytics to fine-tune your timing based on engagement. Once you know the best times to Tweet for optimal engagement, you can use Hootsuite to schedule your posts. If inspiration strikes while you’re walking, driving, or in any other situation where handling your phone isn’t an option, your device’s mobile assistant can Tweet for you, hands-free. 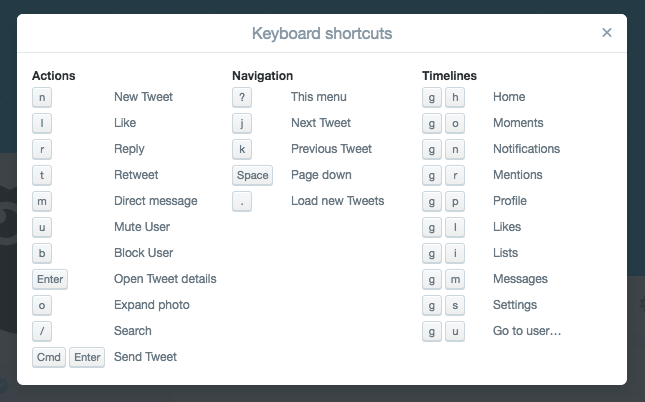 Did you know that there are keyboard shortcuts hiding right under your fingertips when you use Twitter on your desktop? You can keystroke your way to new messages, expanded photos, and more, all without touching your mouse. Okay, we may be biased on this one, but scheduling Tweets is one of our favorite Twitter tricks. If you’re interrupting your workflow to sign into Twitter, write Tweets, and post them throughout the day, you’re not making the best use of your time. It’s much more efficient to create your Tweets in one dedicated chunk of time, then schedule them to post throughout the day. You can share your own Tweets or anyone else’s online using Twitter’s built-in embed code. Bonus hack: You can also embed multiple Tweets from one or more accounts using embedded timelines. You probably already know that choosing the right target audience is an important part of maximizing your Twitter ad budget, but you may not have considered the option to hide a promoted Tweet from your followers. Excluding your followers allows you to create an ad that speaks to a new audience using statements that might seem way too obvious—or even annoying—to your existing fans, or to create an offer that’s most appropriate for people who have never interacted with your brand before. If one of your Tweets is converting particularly well, or if you have key information visitors to your Twitter profile should know, you can pin it so it always appears at the top of your timeline. 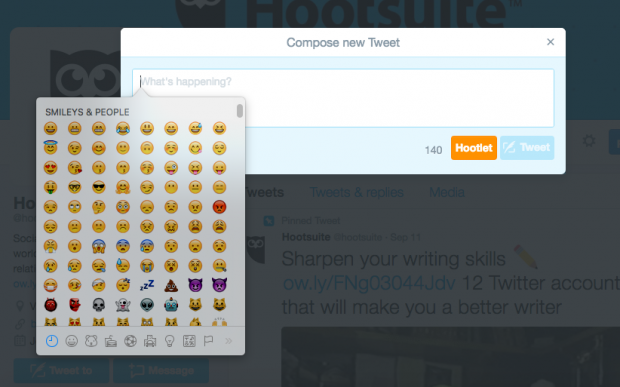 Image via Hootsuite on Twitter. When you’re looking for engaged Twitter users to interact with, you may want to exclude Tweets with links from your search. Why? Tweets without links indicate Twitter users are actively engaged on the network itself, rather than simply funneling traffic to other locations online. This can be particularly useful if you’re following Tweets from a Twitter chat or live event and want to avoid links that pull you away from the conversation at hand. There are a number of useful search operators. For example, since:[yyyy-mm-dd] will allow you to search Tweets sent after a specific date. So, typing Twitter hacks and tricks since:2016-10-01 in the search bar will only deliver Tweets containing “Twitter hacks and tricks” that were sent after October 1, 2016. You can use search operators in combination. Check out Twitter’s full list by clicking operators on the Twitter search page. Twitter’s built-in Advanced Search allows you to target your search based on geography, sentiment (positive or negative—imagine searching for customers who love you or hate you), and more, without having to remember any search operators. 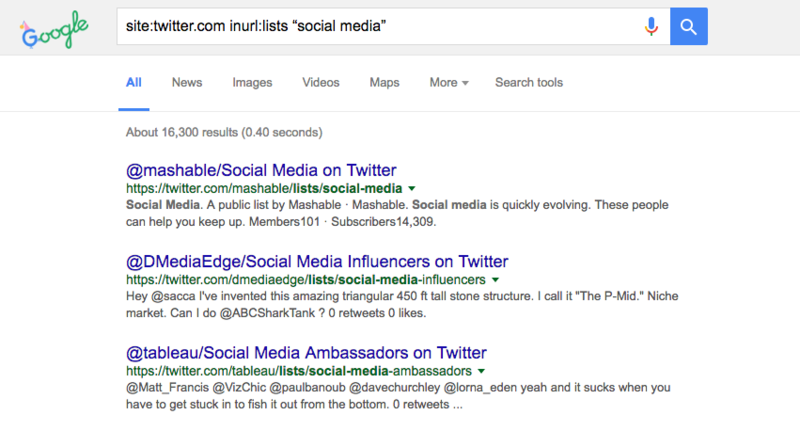 Follow the steps in our blog post dedicated to Twitter Advanced Search. You can uncover social media influencers, competitors, and conversations happening about your business using Hootsuite’s advanced search capabilities, then use the intelligence gathered to increase engagement with followers and customers. Follow the steps in our blog post dedicated to this topic. Upon request, Twitter will provide you with a full archive of all your Twitter activity, right from your very first Tweet. If you’re following more than a couple hundred people (and you are, right? ), it can become virtually impossible to keep track of the content you want to see. Enter Twitter Lists, which allow you to create custom feeds of groups like influencers, customers, leads, or prospects—so you can engage appropriately with each important group. For instructions for iOS or Android, visit the Twitter Help Center. You want to keep an eye on your competitors, of course, but you don’t want to give them a valuable follow. You also don’t necessarily want them to know they’ve caught your attention. Enter private lists: A stealthy way to create a feed of competitors without following them. Knowing what lists you’re on helps give you a sense of how people perceive your account and helps you find potential new contacts who have not yet followed you. Note—you can only find out whose lists you’re on using the iOS and web interfaces. There’s no option to do so in the Android app. When looking for people to follow, or people to add to your lists for competitive intelligence, you might want to see if others have already done some of the work for you by creating lists of relevant accounts. A great place to start is by looking at the public lists created by influencers in your field or your largest competitors. If a list looks worth investigating, you can simply subscribe to the list without having to duplicate it on your own account. What if you want to go deeper into list discovery, beyond lists belonging to influencers you’re already aware of? There’s no way within Twitter itself to search for lists, but that’s where Google comes in. Just like you can use search operators within Twitter to narrow your search results for Tweets, you can use search operators in Google to find Twitter Lists. Twitter no longer counts images toward your Tweet’s character count, so you can add an image without taking space away from the text of your Tweet. And there’s no need to stick with just one—you can attach up to four images to any Tweet (excluding animated GIFs… each Tweet can only have one of those). You don’t want to go overboard and upload multiple images with every Tweet, but this can be a great idea when posting from an event, destination, or product launch, for example. Just like Snapchat, Twitter allows you to add stickers to the images you Tweet, injecting a little bit of extra personality. Note—you can only add stickers using the iOS and Android apps. There’s no option to do so in the web interface. The list of Twitter hacks and tricks is sure to grow as marketers get ever more creative in their use of this important social network. Save time managing your Twitter presence by using Hootsuite to schedule posts, share video, engage with followers, and monitor your efforts. Try it free today.